I created the felt pockets following Purl Soho‘s instructions. 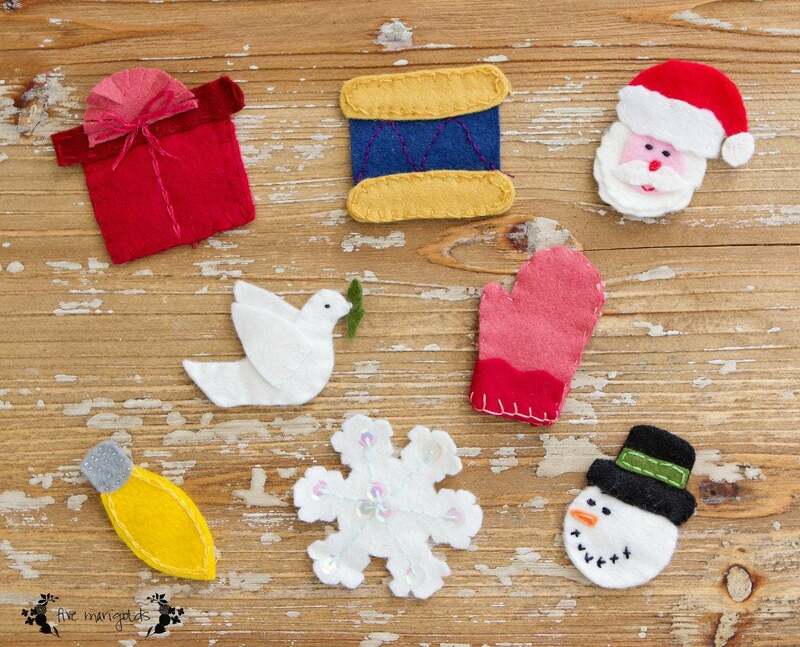 I came up with the ornaments by finding holiday clipart and using those images as my sewing templates. 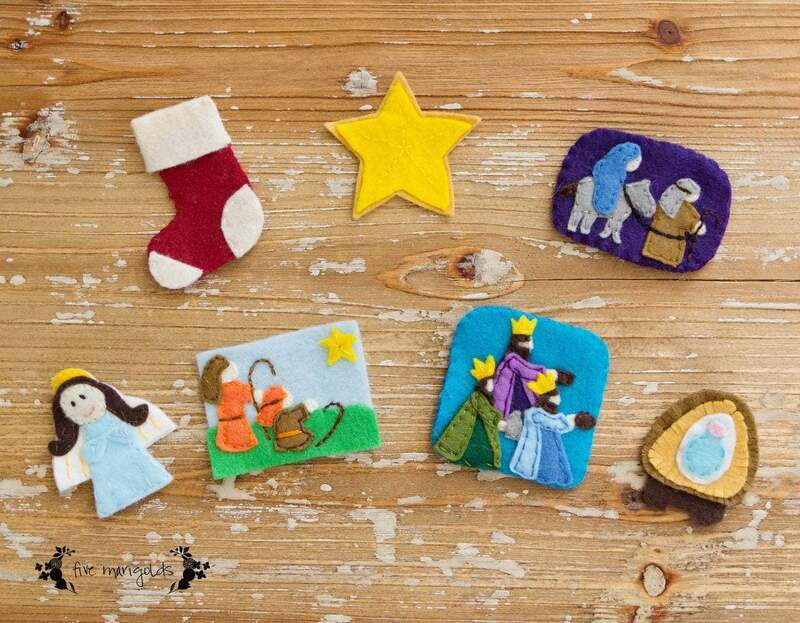 When I was about halfway done with my project, Homemade by Jill began her own similar felt Advent Calendar, and asked her followers to join her. I began following her blog and trolling her blog participants for ornament inspiration, as well. I tried to pick ornaments that may signify something we might do that day or week: looking at Christmas lights, decorating our Christmas tree, baking cookies and decorating gingerbread houses. One thing that was important to me was that it also told the Christmas story of the Bible – the reason our family celebrates the season. We save these for the end of the calendar as we lead up to our celebration of Jesus’ birth. I made this calendar in 2010, and I fizzled out at the 23rd ornament. We’ve gone 5 years without the last two ornaments – I can procrastinate like no other, it seems! 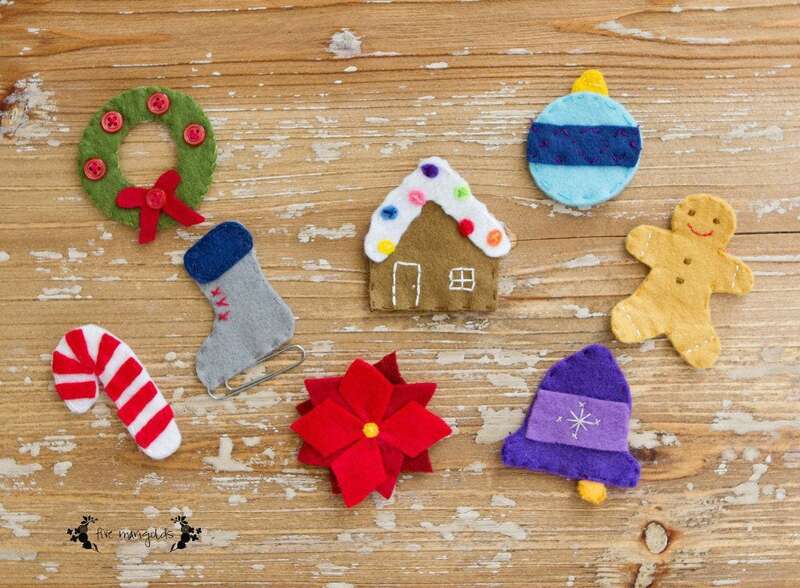 One day I’ll get around to sewing a felt cup of hot cocoa with marshmallows and a cute sugar cookie with sprinkles. Until then, we have a mean 23-day countdown to Christmas. 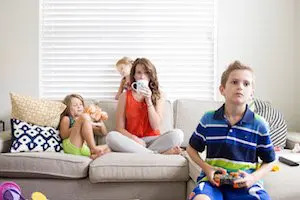 This is a tradition the kids love. Do you use an Advent Calendar each year? What is your favorite kind? I’d love to hear your ideas and traditions in the comments below! Aw they are so pretty! It would be a fun project to do with little kids too!